It’s that time of year where light seasonal ingredients pair perfectly with some beloved comfort foods. 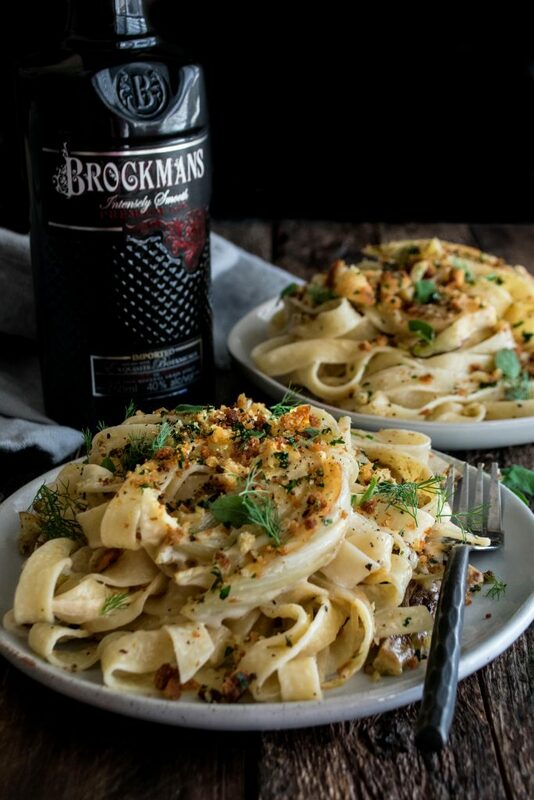 Our latest recipe, tagliatelle with roasted fennel and Brockmans Gin sauce was developed by Kayla Howey to bring something refreshing to your evenings. Kayla’s passion has always been food. Inspired, she went off to university to complete a degree in Hospitality Management and Food Science before attending The Culinary Institute of America in Napa Valley. That later led to a job at Thomas Keller’s Bouchon Bistro, where she learned more about seasonal cooking and the balance of flavours. With her accumulated knowledge, she moved back home to Illinois to work at her family’s restaurant and to focus on The Original Dish, where you can find all of her seasonally-inspired recipes. 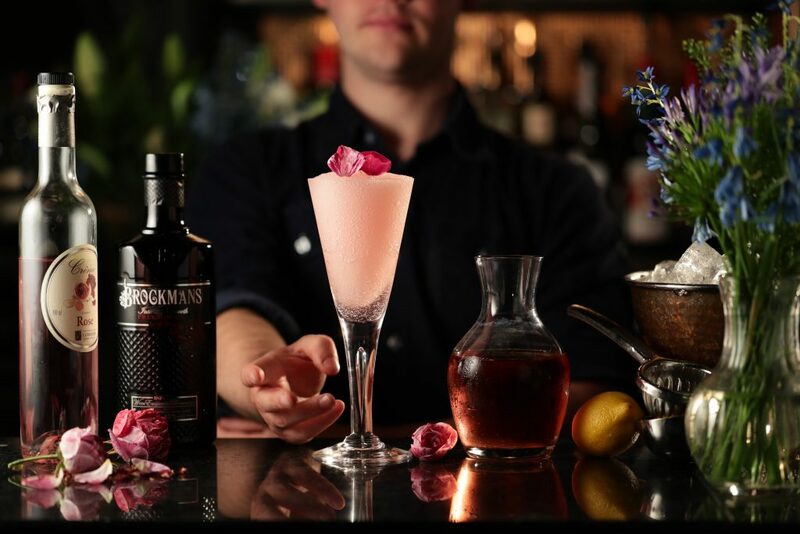 We’d recommend having a read while you sip on our Forbidden Fruit. Add the cubed baguette to a food processor and pulse until they form coarse breadcrumbs. Heat a large skillet over medium heat. Add a generous amount of olive oil, enough to just slightly come up the sides of the skillet. Once the oil is hot (use a breadcrumb to test and make sure it sizzles), add the breadcrumbs. Toast the breadcrumbs until golden brown and crispy, stirring often. Watch the heat and lower if needed. Once done, use a slotted spoon to transfer the breadcrumbs to a bowl. Immediately season with a pinch of salt and a few cracks of fresh black pepper. Add the parsley and toss well. Spread the breadcrumbs out onto a plate lined with paper towels and set aside. Wipe out the skillet. Trim a sliver off the root of each halved fennel bulb. Slice the fennel into thin wedges. Heat the skillet back over medium heat. Add enough olive oil to coat the bottom. Once hot, place half of the fennel in the skillet in one, even layer. Cook the fennel until caramelized. Flip the fennel over and cook for another minute or so on the other side. Transfer the caramelised fennel to a plate, cover the plate with foil, and repeat with the rest of the raw fennel. Meanwhile, bring a large pot of water to a boil. Add a couple of heaping pinches of salt. Drop the tagliatelle and cook for 2 minutes less than the package’s instructions, stirring often. Once all of the fennel is out of the skillet, lower the heat to medium-low. Add the butter and let melt. Add the shallot and cook for a few minutes until tender. Season with a pinch of salt and stir in the lemon zest. Let cook for another minute. Deglaze the pan with the gin and add the sprigs of thyme and oregano. Let the gin simmer for a couple of minutes until slightly reduced. Stir in the heavy cream. Let the cream come to a gentle simmer. Cook for 3-4 minutes, adjusting the heat as needed, until the cream is slightly reduced. 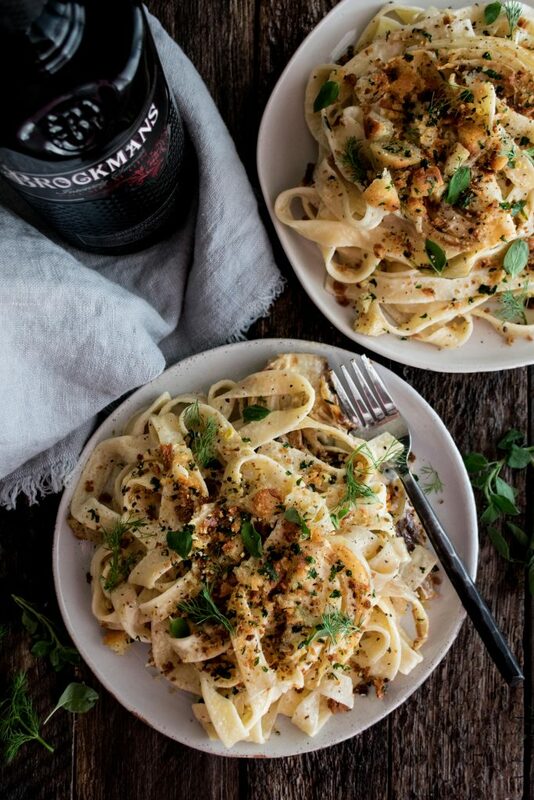 Whisk in the parmesan cheese until smooth. Use tongs to transfer the tagliatelle directly to the sauce. Gently toss and let cook for another minute or so until the sauce clings to the pasta. Stir in the lemon juice. Taste the pasta and add more salt or lemon juice if desired. Fold in the caramelised fennel and half of the breadcrumbs. 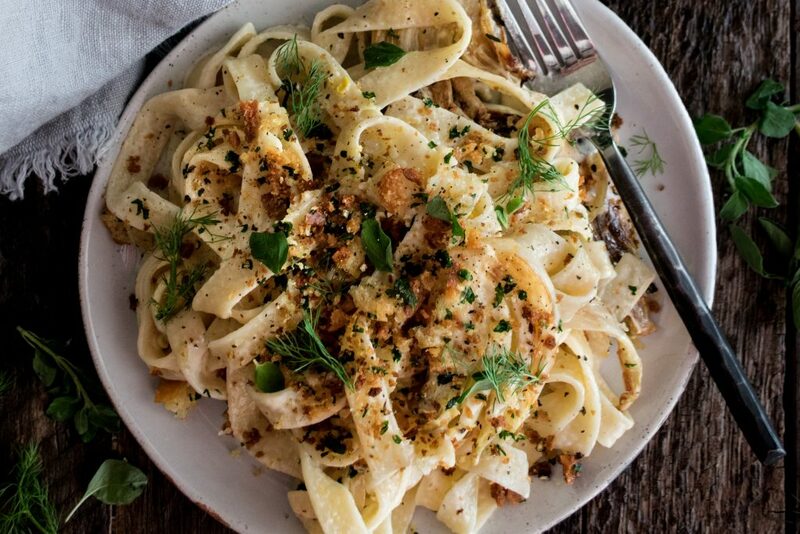 Serve the tagliatelle with the remaining breadcrumbs, freshly cracked black pepper, fennel fronds, and oregano leaves on top.